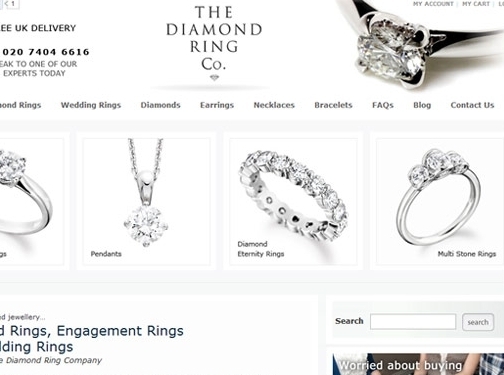 The Diamond Ring Company is a well established jeweller based in Hatton Garden, London's jewellery district.They offer a wide selection of hand crafted diamond rings, engagement rings, and wedding rings - all at discount prices, cheaper than the high street. Bespoke jewellery design is a simple process where the designers will take your ideas and images to create a concept and, upon final approval, expert craftsmen will create a piece from your choice of finish, metal and diamonds/stones with the final piece being set, polished, hallmarked and dispatched to your address. UK (London) based company offering diamond rings for sale. Website features full e-commerce features, FAQs, blog, terms and conditions, and full company contact details.